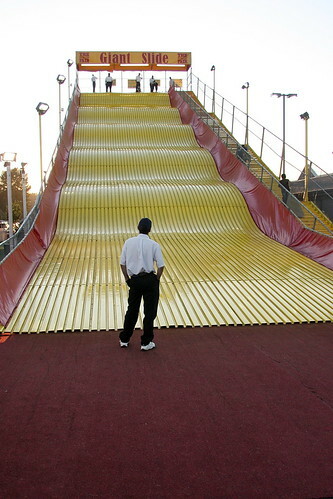 Giant Slide, originally uploaded by The Bacher Family. At the Western Washington State Fair in Puyallup, September 18, 2009. I'm not sure why I like this photo so much; there just seems to be something powerful, to me, about the young man standing all by himself at the bottom of the giant slide.